Again, I don’t have enough time to bake any cake since A.P exam is coming within one week. But my blog would be upset if I did not put something on it. Then, I hope owner of this website: http://en.kokotaru.com/2009/08/orange-yogurt-brulee/#more-1067 would not be upset as well since I have copied her pictures and posted here. 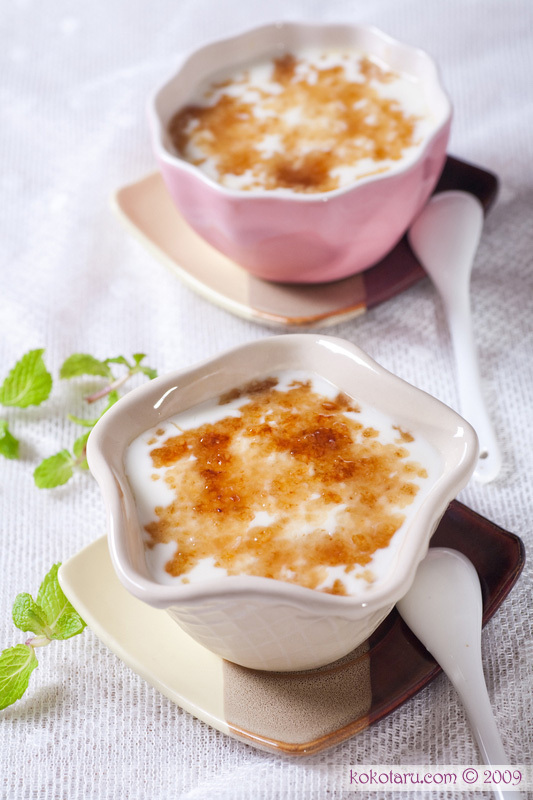 It takes only few minutes to prepare and get ready for this irresistible healthy dessert. 1/ Peel the orange and cut it into small pieces. Place them equally in two cups or ramekins. 2/ Pour plain yogurt into those two ramekins. DONE! WOW!! ENJOY IT MUCH? 🙂 Please enjoy your dessert and tell me if you love it 🙂 Thank you for reading my post.